It’s startling to see the progression made by maestro Andrea Tilenni on this quick follow-up to Toward The Castle. Moving away slightly from the black metal aesthetics, which were minor to begin with, Tilenni embraces darkly romantic and gothic overtones on Spirit Of Sorrow (the original version was released as a demo in 2002). The melancholy is pristine, like a funeral in the rain. Italy’s Goblin remains an influence, as does the synthesiser compositions of John Carpenter. Thrown into the mix is the work of Summoning and early Mortiis. The end result is sweeping, darkly romantic music with air of mystery and sorrowful ambiance. The guitars have been minimised this time out, their buzzsaw cadence replaced with layers of lush keys that cascade from classical composition to harsher flair. The one conceit to black metal that remains is Tilenni’s demon-styled throaty rasp, which really works well to counter the beautiful music. 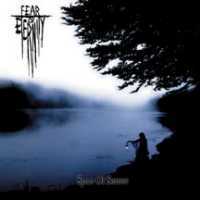 Having not heard the original demo, I have to say that the musical maturity on Spirit Of Sorrow is breathtaking. Given that, I find that I do miss the guitars, as well as the minimalism exemplified on Toward The Castle. Still, this is a minor quibble and admittedly ‘fan like’. Fans of black ambiance, romantic gothic, and even black metal should give this one a listen. No, it doesn’t have the raw energy of pure black metal, but it does show what may have happened if the style pioneered by Burzum and Nargaroth had flourished. Note: If you find that you like this musical style, also try Catacomb’s In The Depths Of R’lyeh. This one-man outfit plays pristine funeral doom.